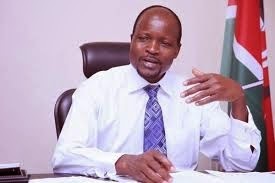 Supporters of Migori Governor Okoth Obado can now enjoy their sleep after the Supreme Court has upheld his victory as the Migori County governor in a unanimous decision. Judges faulted Court of Appeal for engaging in a fishing expedition when they allowed pleadings that were never sought at trial court. They said voter’s scrutiny and re-tallying should not be used as a fishing expedition but a tool to verify results where there were counting errors in specified polling stations. Obado’s win was nullified in March by Court of Appeal sitting in Kisumu. Obado was elected on PDP ticket after he defected from ODM during the last general elections. ODM leaders have been crossing fingers that the court orders for a by-election to show Obado dust but the prayers have not been answered. Obado is said to be a member of the Kalausi Party which is currently recruiting members to outsmart ODM in it’s Nyanza stronghold. Kalausi is also associated with Rongo MP Dalmas Otieno.